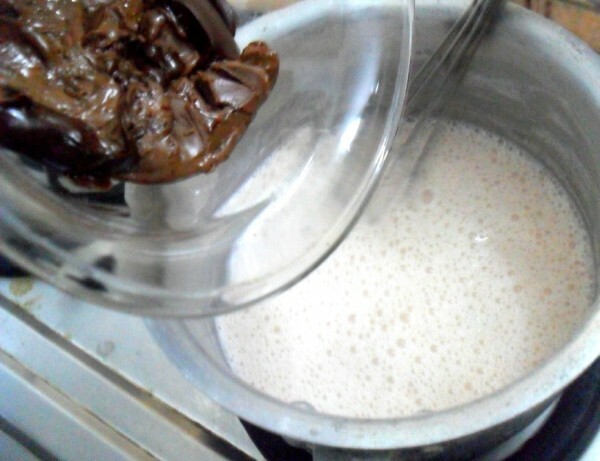 For the second day of making Member’s choice, I decided to make Pannacotta. Pannacotta is from Italian which means literally cooked cream. 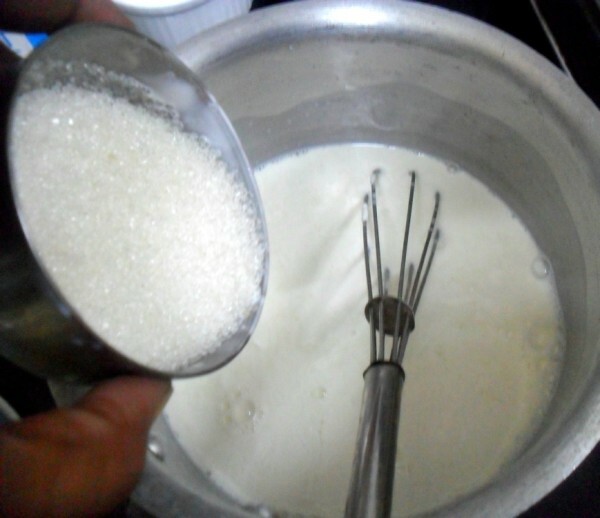 It is a dessert made by simmering together cream, milk and sugar, mixing this with gelatin, and letting it cool. 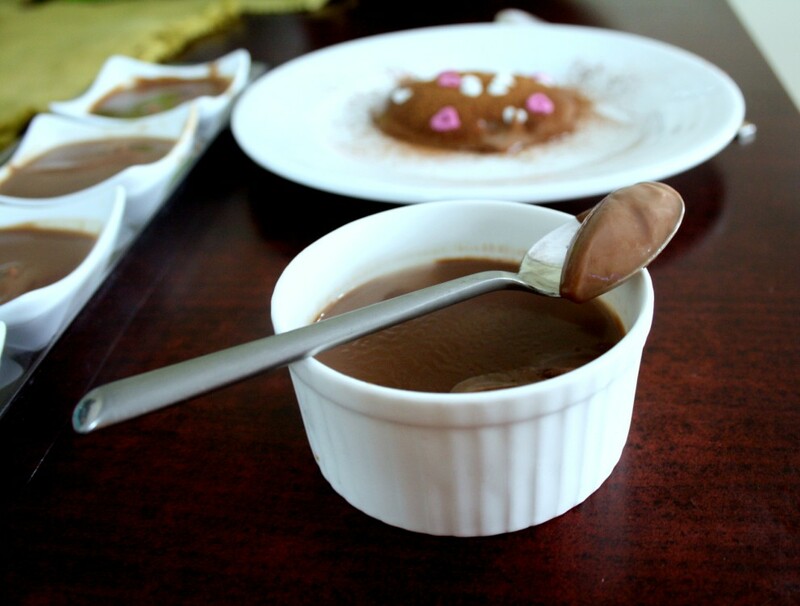 Panna cotta is normally made with gelatin, since the time I knew that gelatin has animal bones, I stopped using it if I have to eat. So I had this Agar Agar or China Grass powder always stocked with me. Imagine after getting it a while ago, I finally made this. 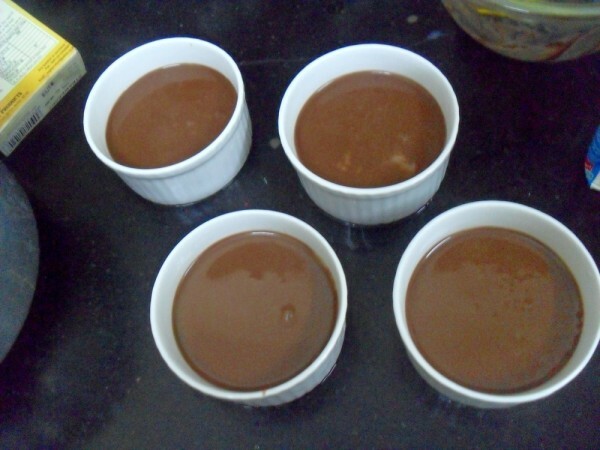 After deciding to make Panna cotta, I had to make it with chocolate what with the kids wanting to eat only chocolate. Today being a Sunday, I decided to serve this for lunch dessert. Kids were eagerly waiting for this. Though I had couple of recipes written down, I wanted to refer what’s online. 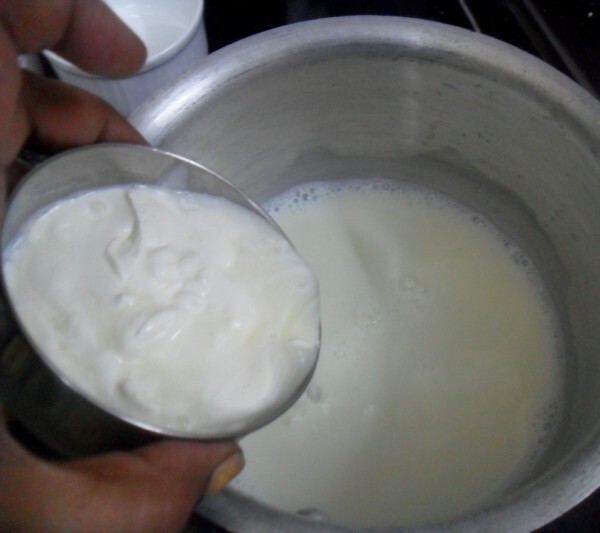 I remember Pavani making it for one of the BM, so thought I would check it out and see if I could adapt that recipe. It turned out that it was pretty much easy and it was quick to make it. So here I am done, chilled and cleaned the plates as well. Veena got those cute little hearts and I wanted to use them right away. Those looked so cute that I was drooling over those cuties. 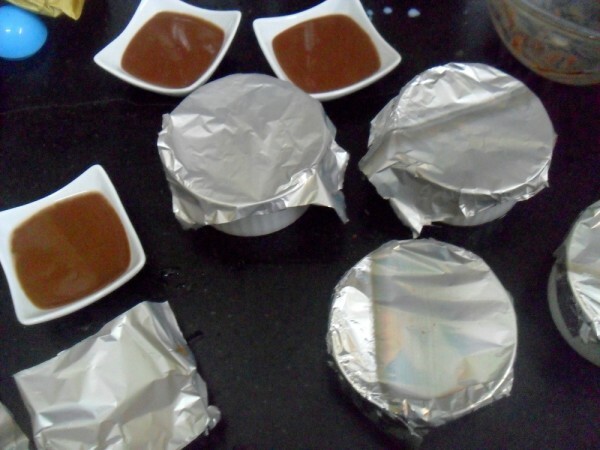 Molds – I used 4 ramekins, 4 small serving bowls, 1 medium serving bowl. 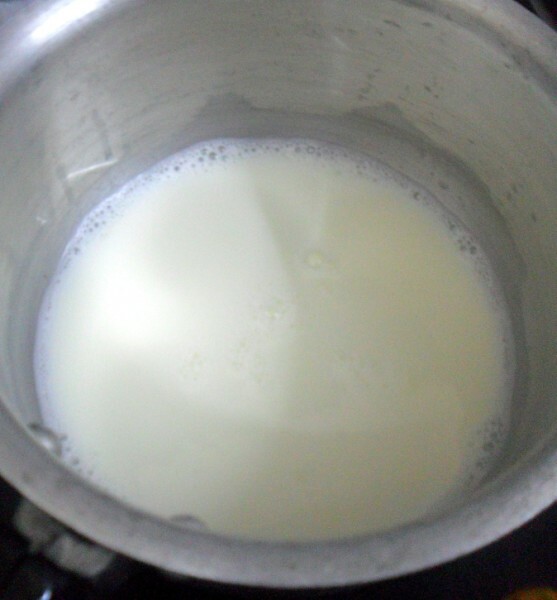 In a thick bottom pan, combine heavy cream, milk and sugar, bring the mixture to a boil. This takes about 5 mins. 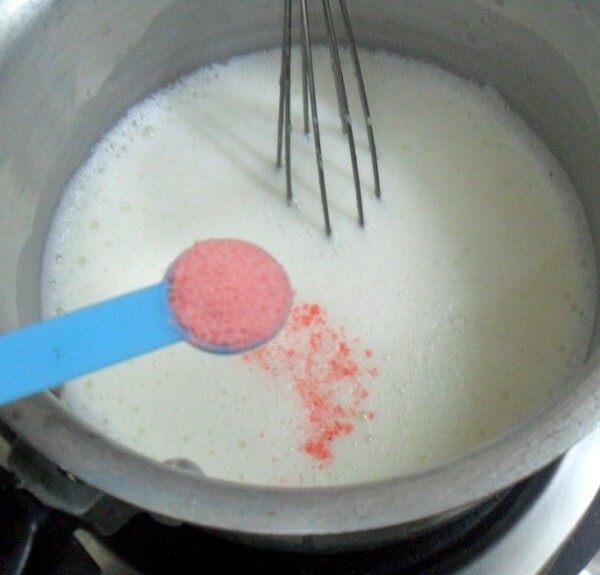 Lower the heat and add the agar powder. 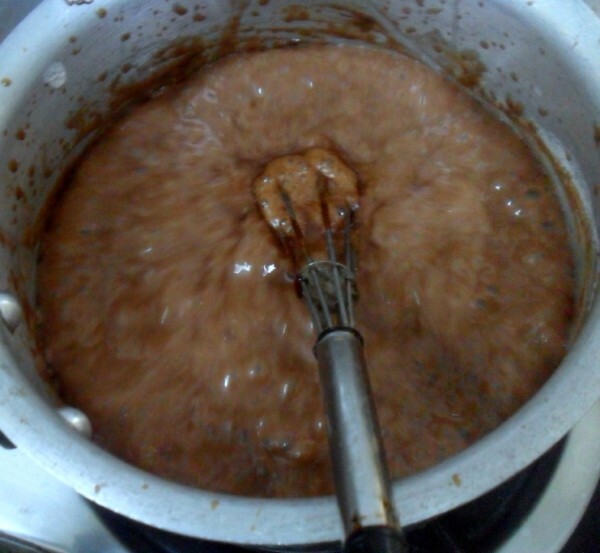 Whisk vigorously until it completely dissolves; simmer for 2-3 minutes. 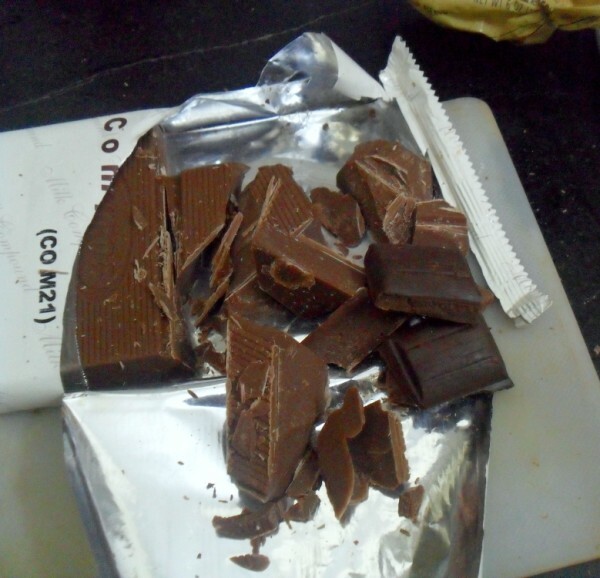 MW the chocolates for 30 secs – 1 min to melt. 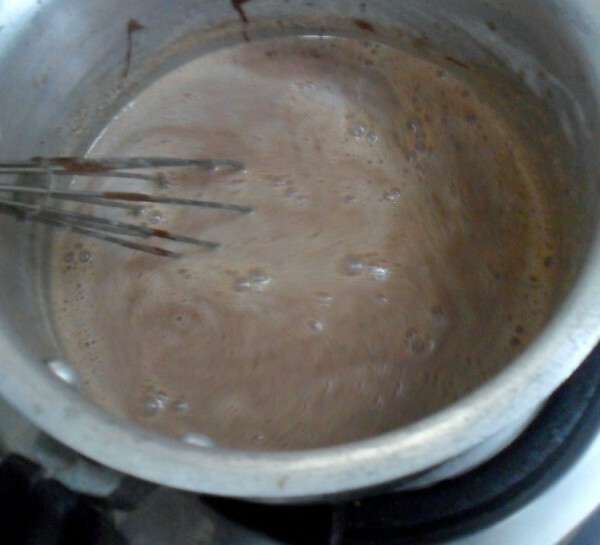 Remove from heat and then stir in melted chocolate. 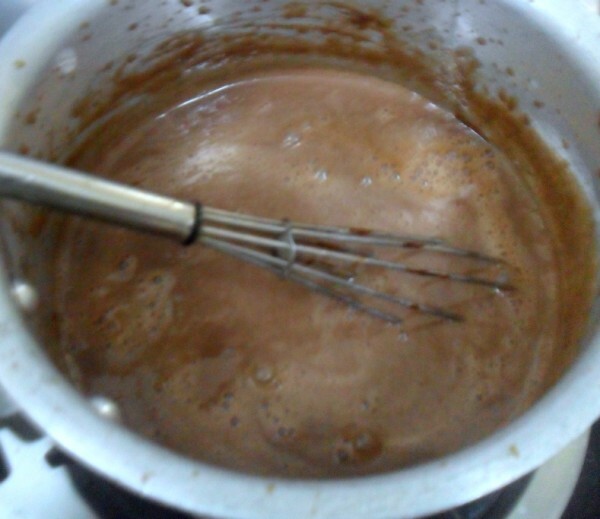 Whisk well to combine the chocolate into the milk. Next add the vanilla and mix again. 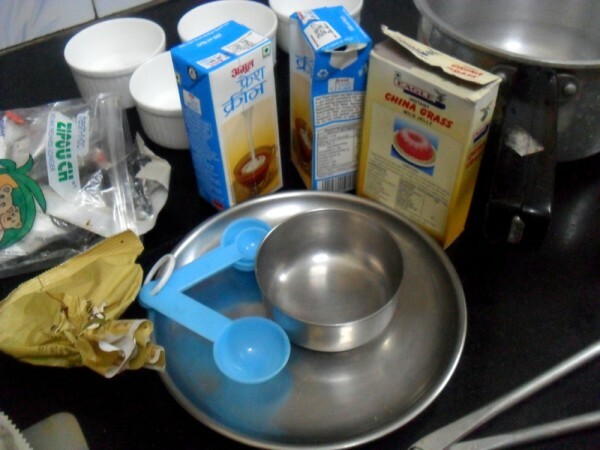 Pour the mixture into the selected molds/ bowls. Cool a little bit, then refrigerate for at least 3-4 hours. When ready to serve, dip the mold in hot water and run a sharp paring knife around the edges and then invert onto the serving plate. 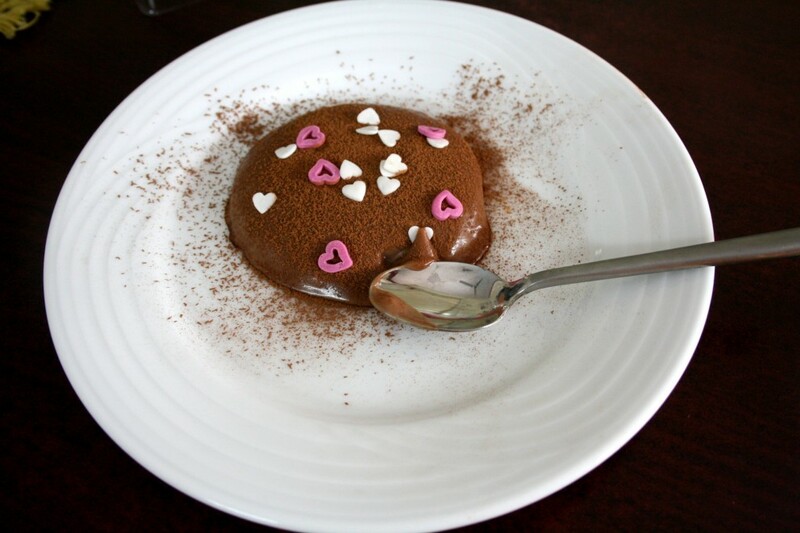 Dust with cocoa powder and sprinkle the hearts for decoration, serve. Alternatively you can serve with whipped cream, ice cream and grated chocolate. 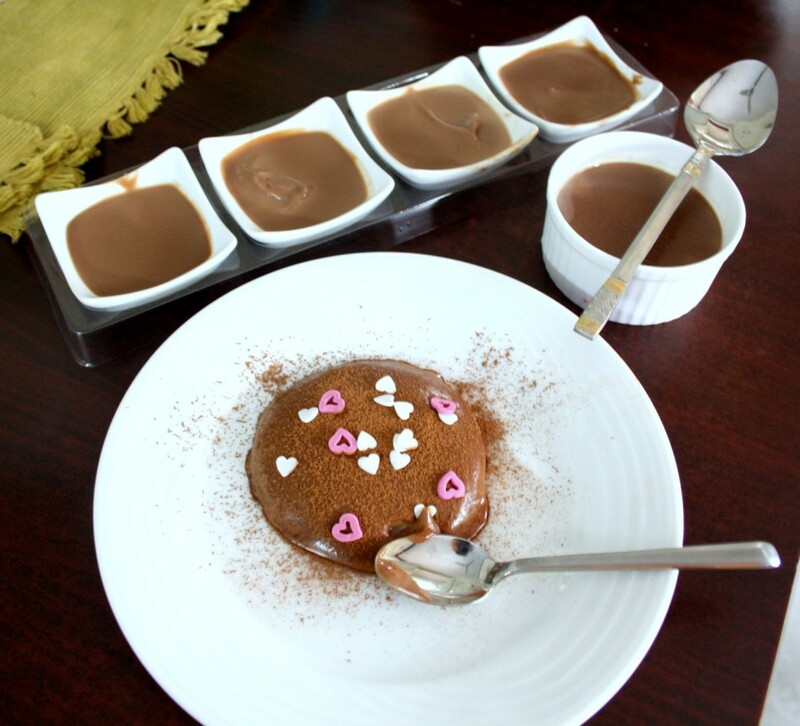 Valli I am a kid too..chocolate is ny favorite flavor too..and the hearts are so cute..looks really tempting. 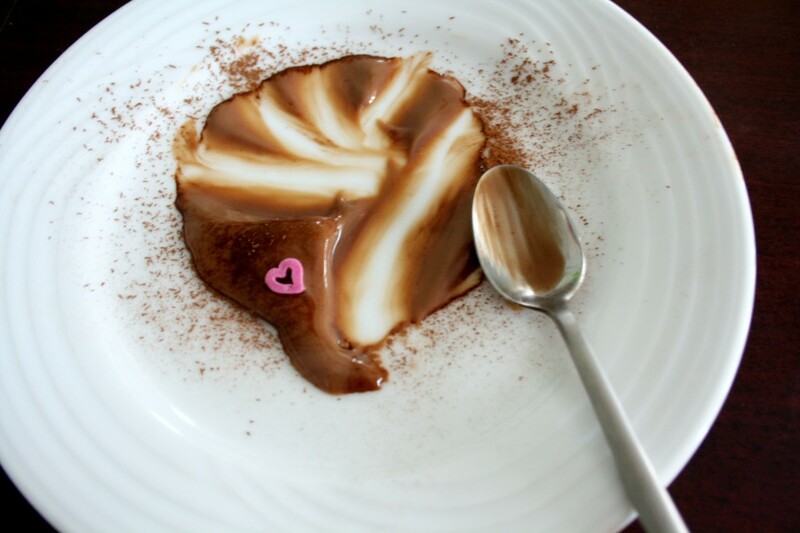 Wat an incredible dessert, prefect treat for a chocoholic person like me, such an elegant pannacotta Valli. Looks so yum , I want to grab that last bite with heart..
Definitely a keeper! They look divine. Oh God.. valli i cant take my eyes off from those pics….. its defenitely eye catching one… and i have to say very good presentattion.. i loved those small bowls…..anything served in white looks so good..
lovely! A chocolate lover's paradise!